ST. JOHN&apos;S, Feb. 5, 2019 /CNW/ - Aurion Resources Ltd. (TSXV: AU) ("Aurion" or the "Company") is pleased to report new high-grade assay results in drilling at the Aamurusko prospect on its Risti Project in northern Finland. High-grade gold mineralization intersected at shallow depths in the current drill campaign expands known mineralization in an area that is now estimated to be 56 m wide in an east-west orientation with a sub-vertical distance of 110 m. Multiple high-grade (anything greater than 10 g/t Au is considered high-grade here) intercepts occur in this area. While true widths are unknown at this time, the ability to successfully target and intercept gold mineralization with drill step outs < 25 m both vertically and horizontally suggests that the mineralization appears to form part of a coherent body or shoot. The mineralization lies along the faulted/sheared contact between a gabbro intrusive and sedimentary rocks. Mineralization remains open. The Aamurusko boulder field comprising 1,210 angular boulders that assayed an average of 25 g/t Au (previously disclosed) is > 1.2 km wide. The current drilling has been focused over an east-west distance of 250 m at the eastern extent of the boulder field. This suggests that the mineralization encountered there is only one source of the many high-grade boulders at Aamurusko. Gold mineralization was also intersected in a 500 m step out drillhole to the west providing further evidence that additional near surface gold mineralization may exist in the same geological/structural setting west of the current main focus of drilling. Drilling continues at Aamurusko with assays pending for six drillholes. Drillhole AM19082, drilled at an azimuth/dip of 320/-39 degrees, intersected quartz veins assaying 42.28 g/t Au over 4.00 m from 40.00 to 44.00 m, including 110.90 g/t Au over 1.4 m.
Drillhole AM19081, drilled at an azimuth/dip of 005/-39 degrees and located approximately 56 m east of drillhole 82, intersected quartz veins assaying 24.50 g/t Au over 4.75 m from 48.80 to 53.55 m, including 45.70 g/t Au over 0.80 m.
Drillhole AM18077, drilled at an azimuth/dip of 000/-45 degrees and located midway between drillholes 81 and 82, intersected 2.24 g/t Au over 9.10 m from 40.40 to 49.50 m, including 10.60 g/t Au and 9.43 g/t Au over 0.60 m and 0.55 m respectively. This hole was drilled 25 m above (up-plunge) AM18042 which intersected 789.0 g/t Au over 2.9 m (previously reported). These shallow drill intercepts occur between a vertical depth of 40 to 45 m from surface. Drillhole AM18078, a single 500 m step out to the west, drilled at an azimuth/dip of 045/-45 degrees, intersected quartz veins assaying 2.33 g/t Au over 2.20 m from 48.8 to 51.00 m.
Assays are pending for six drillholes. All widths are core widths. True width is not known at this time. All assay values are uncut. "Successful targeting and discovery of high-grade near surface gold mineralization over a strike of 56 m by a depth of 110 m is very encouraging. With short 20-25 m step outs, we may be defining a coherent zone of mineralization. Drilling has been focused over a distance of 250 m at the eastern extent of the >1.2 km wide high-grade Aamurusko boulder field. Results to date suggest potential for additional similar zones of gold mineralization along strike to the east and west. Gold mineralization intersected in a 500 m step out to the west supports this premise. ", commented Mike Basha, President and CEO. "Furthermore, the more drilling we do, the more we understand the potential geometries of these mineralized zones. Drilling continues and Aurion is well funded to advance the Aamurusko discovery and the Risti Project into the foreseeable future". The geological setting of the Risti project has many similarities to prolific gold-rich orogenic gold belts globally, specifically the Timmins camp of the Abitibi geological province of Northern Ontario. The Aamurusko zone appears to be underlain by young unconformable clastic rocks (meta-sandstones and conglomerates) of the Kumpu Group. These Kumpu Group conglomerates resemble the Timiskaming conglomerates of the Timmins and Kirkland Lake area of the Abitibi province and occur in a similar geo-tectonic setting (both represent the youngest stratigraphic sequence within their respective belts). The Kumpu Group and the Timiskaming group were deposited in late orogenic extensional basins. They form in relation to major movement along regional faults or deformation zones. In the Abitibi province, many high-grade, multimillion-ounce gold deposits are temporally and spatially associated with the Timiskaming conglomerates (or their equivalents) in close proximity to major regional deformation (fault) zones such as the Porcupine-Destor or Cadillac Lake-Larder Lake deformation zones. The Kumpu Group appears to have been deposited in a similar geological setting adjacent to the Sirkka shear zone, which is a major deformation zone in the Central Lapland Greenstone Belt. Strong alteration including fuchsite, tourmaline, iron carbonate, albite and quartz veining is seen along the entire length of this structure. All samples were delivered to ALS Minerals preparation facility in Sodankyla, Finland where sample preparation work was completed. All analytical work was completed at ALS Minerals facility in Loughrea, Ireland. ALS Minerals is an internationally accredited lab and are ISO compliant (ISO 9001:2008, ISO/IEC 17025:2005). All samples were analyzed for gold using the Au-AA26 procedure (50g fire assay with AAS finish: Lower Detection Limit 0.01 g/t gold; Upper Limit – 100 g/t gold). Any samples that returned overlimit values (>90.0 g/t gold) or had visual indication of mineralization, such as visible gold or prospective vein intervals (>90.0 g/t gold) were analyzed by Au-SCR24 1kg, Screen Fire Assay Au (0.05-1,000 ppm) by 1kg screen fire assay (50g nominal sample weight). The sample pulp (1kg) is passed through a 100 micron stainless steel screen. Any material remaining on the screen (>100 micron) is retained and analyzed in its entirety by fire assay with gravimetric finish and reported as the Au (+) fraction. The material passing through the screen (<100 micron) is homogenized and two sub-samples are analyzed by fire assay with AAS finish. The average of the two AAS results is taken and reported as the Au (-) fraction result. All three values are used in calculating the combined gold content of the plus and minus fractions. The gold values for both the (+) 100 and (-) 100 micron fractions are reported together with the weight of each fraction as well as the calculated total gold content of the sample. Multi-element analysis (ME-ICP61, four-acid digestion, 35 element ICP-AES) was completed on all samples. Certified standards and blanks were inserted every 30 samples. ALS has its own QA/QC protocol using standards, blanks and duplicates. Mike Basha, P.Eng., P.Geo., President and CEO of Aurion, a Qualified Person as defined by National Instrument 43-101, is responsible for the preparation of this release. 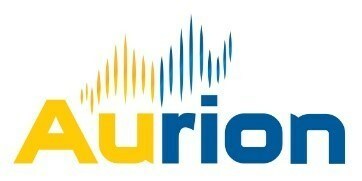 For more information on these projects please visit our website at www.aurionresources.com. Certain statements contained in this release constitute forward-looking information. These statements relate to future events or future performance. The use of any of the words "could", "intend", "expect", "believe", "will", "projected", "estimated" and similar expressions and statements relating to matters that are not historical facts are intended to identify forward-looking information and are based on the Companies&apos; current belief or assumptions as to the outcome and timing of such future events. Actual future results may differ materially. The forward-looking information contained in this release is made as of the date hereof and Aurion is not obligated to update or revise any forward‑looking information, whether as a result of new information, future events or otherwise, except as required by applicable securities laws. Because of the risks, uncertainties and assumptions contained herein, investors should not place undue reliance on forward‑looking information. The foregoing statements expressly qualify any forward‑looking information contained herein.